There is no denying the grandiose scope of mural paintings inside the Sistine Chapel, which remains the official residence of the Pope in the Vatican City. Unfortunately, the truly masterful essence of the Michelangelos, Botticellis and the Rosellis’ genius had somewhat diminished when the Vatican decided to shut off its windows in 1980, due to the paintings’ overexposure to sunlight (which leads to fading). But as we say – cometh science, cometh the solution; Osram has come up with a customized LED lighting system that is touted to recreate the original glory of these incredible murals in all their basking resplendence. After the 80’s shutdown, it was incredibly the ‘piece de resistance’ of the Sistine Chapel ceiling painted by Michelangelo that suffered the ‘dark’ fate. Vatican had a makeshift low-energy halogen lighting system installed that allowed some degree of tepid illumination for the visitors to just see the masterpiece. But now the interested enthusiasts can observe the refined details and the dynamic hues that made the original such a praiseworthy specimen of art for over 400 years. How so? Well, the new lighting system will boast of 7,000 LEDs that are regulated by a state-of-the-art color correction algorithm. In essence, the LEDs will shed their light in such a manner so as to bring out the ‘authentic’ flair of tints and hues that Michelangelo originally envisaged. To that end, historians believe that the expansive ceiling was actually painted during the day – which helped the Italian master to truly showcase his expertise in vibrancy. Coming to practicality, the LEDs are designed to run ‘cool’, and more importantly eschew frequencies from both the ultraviolet and infrared spectrum. 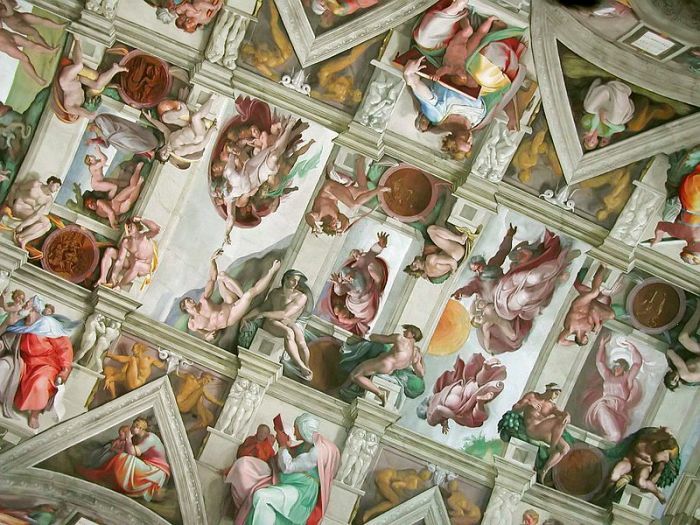 As a result, the entire mechanism (which will be fitted along a inconspicuous ledge inside the Sistine Chapel) would be safe for the bevy of artworks adorning the structure. 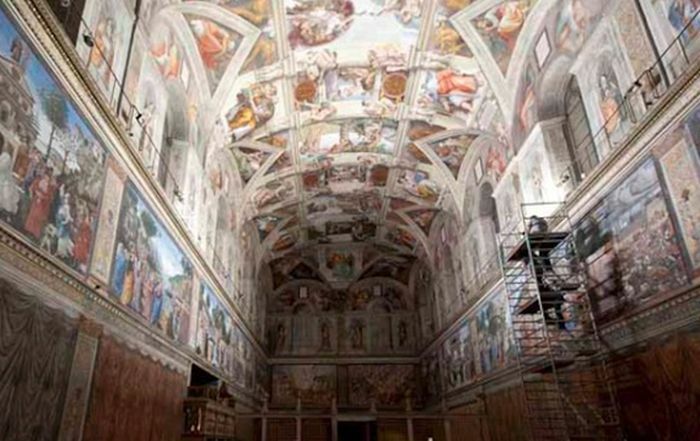 And lastly, as a means to commemorate the great painter, the LED lighting system is to be installed to coincide with the 450th anniversary of Michelangelo’s death.